Jazbaat as the name suggest was a play that revolves around the feelings of mentally retarted people. The story has a feel good factor since it was charmed with the innocence that the actors pulled off brilliantly. The lead actor and the actress showed some brilliant chemistry but the best aspect of the play was that every person standing on stage showed some briiliant acting skill which made it a complete play. 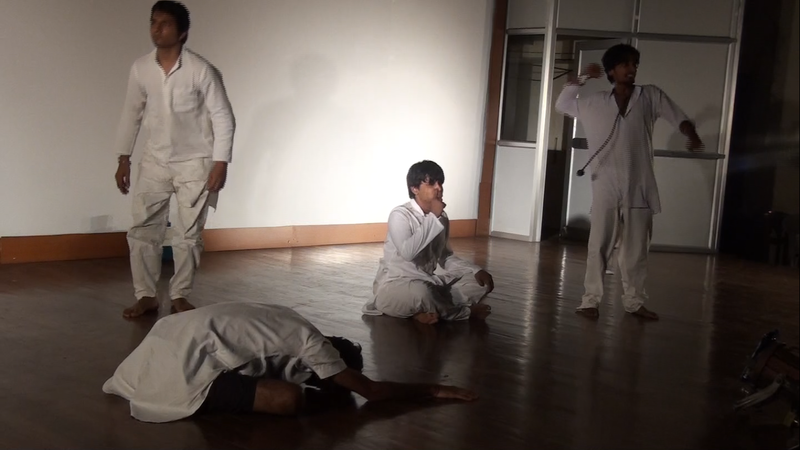 It was a play that looked complete and reflected the hard work the bacchas and the mentors had done.The mentors especially a person like altaf ahmad needs no introduction and he displayed awesome dram sense, but again the collective effort of Pappa, baba and others made this play look so real. The acting, the music and the lights all were nearly perfect and so was the script.The play was succesfull when it comes to touching your heart since it was a perfect blend of innocence of love and the harsh reality that the protaganist faces.The only thing the play didnt incorporated was the crispness and the fluctuating emotions that had a wide scope for this play. The initial scenes of the assylum created a deja-vu and then the length was also a bit long.Although the amazing perfoemance of the sophies never let the distractions overcome their play. I would like to sum up the review with last statement that the play was heart touching and the bacchas brilliantly pulled off a serious play which will be remembered as one of the best sophie prod for years.Just remember that the actors were so perfect and the music was aptly timed that even the disruptive audience couldnt make a noise till the curtains had fallen, and the only sound I could hear was of a LOUD APPLAUSE. Credits to the very dedicated team of sophies and mentors and hope to see you people again on stage.